When Google Fiber enters a market, the Duopoly gets worried. And this is great for consumers. However, I am watching the Hype Machine from inside Tampa after Google Fiber announced that Google Fiber MAY come to Tampa (and Jacksonville, FL; and Oklahoma City). All of Tampa is acting like they won the lottery. This town loves to be on a list - any list. It has an esteem problem after years of wanting to be like Silicon Valley. Now they would be happy to be Provo?! The newspapers - we have 3 - have run articles about it for two days, including reactions from anyone they could get on the phone. It isn't that easy. First off, the city and county governments would have to approve a number of conditions for Google. They would probably get some push back from the Duopoly here. Then there is the matter of a cable TV franchise. Next there is the pole attachment problem. The poles are owned by the telco, electric company (which recently changed hands) and government - 3 entities to deal with and each with their own conditions for usage. Google TV isn't exactly hitting it big either. Google Fiber Ended 2014 With 29,867 TV Subs. No mention of how many Internet subs. No way to guess either. Google Fiber passes just 3,913 homes in Stanford. No data on the other cities. Tampa Bay has Verizon FiOS (soon to be Frontier FiOS in 2Q2106), Bright House cable (soon to be Charter/Spectrum) and WOW! (formerly Knology). Tampa's own billionaire developer, Jeff Vinik, is building up downtown and laying his own fiber. Not sure where Google Fiber will have an impact, except maybe to cause price depression, something telecom is very familiar with. It's ironic that cable will feel the price and speed pressure from Google that they put on telcos. Up until now, Google Fiber has not crossed paths with FiOS. Not sure how that will pan out. 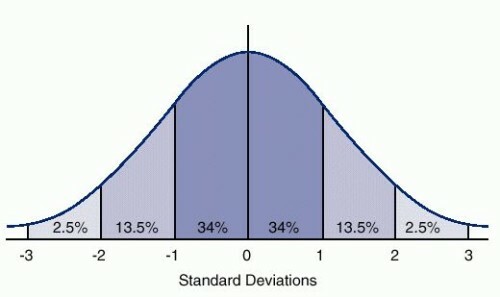 Data has shown that consumers don't buy the fastest tier -- bell curve! So Gigabit fiber for $70 is all about the hype, the marketing, the story we tell ourselves. Yes, Google MAY pick Tampa. Or it may not. It won't change a lot. The BizJournal quoted people saying that Kansas City's startup system boomed due to Google Fiber. Maybe that is true. Maybe it was the fact that they were first - not one of the 18 cities with GF or the 100 cities with Gigabit Broadband. When Cascade Investment backed some of Vinik's plans for 24 acres in downtown Tampa, the local media spun it that Bill Gates was behind the deal. No, Cascade Investment was one of the backers of the $1 Billion deal. No single investment entity is going to take all that risk -- or put all that risk in one basket. Cascade is controlled by Gates; he wasn't partnered in the deal. This is a great example of the "news" media being nothing more than a megaphone for the government and CorpMerica. We experience it every day but hardly notice it any more. Google went into the cellular business this year after much speculation. Google Fi isn't killing it either. Alphabet is very good at experimenting and pushing boundaries. Just in this case, the marketing spin has spun too many people locally. There is even talk about a fiber deal. Google - like Facebook, Amazon and Microsoft - own their own data centers and connect those data centers with either fiber they built or bought or dark fiber. It would be too cumbersome for these 4 megacorps to have a telco running their telecom network.